The quest to find a cure for dementia is to continue with the creation of special research centres across the country. Three flagship Drug Discovery Institutes will be set up at the University of Cambridge, University of Oxford and University College London, using £30 million of funding, in a bid to develop new treatments for the condition. This will involve 90 new research scientists focusing on fast-tracking the development of ways of dealing with it. 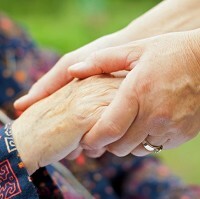 Just because someone has dementia, it does not mean they cannot lead fulfilling lives. For instance, they can still enjoy trips abroad thanks to Alzheimer's travel insurance. Alzheimer's Research UK, the largest dedicated dementia research charity in the world, has backed the new institutes. It believes the move will help to address a lack of effective treatments for patients. More than 830,000 people in the UK have dementia - and this number is set to get even bigger as a result of the ageing population. While growing awareness in recent years has led to small increases in research funding, the charity revealed it has been as many as 12 years since the last treatment for dementia was licensed nationwide. Dr Eric Karran, its director of research, hopes tapping into the innovation, creativity, ideas and flexibility of research scientists at the institutes will re-energise the search for new dementia treatments. He claims that academic researchers are best placed to take research breakthroughs and progress them into real world benefits for the people that so desperately need them. The Drug Discovery Alliance is one of the first bodies of its kind for dementia research to be set up anywhere in the world. Health Secretary Jeremy Hunt has high expectations for the move. He says the world-leading institutes will bring new hope to people with dementia by boosting innovation and increasing collaboration. A recent study by Alzheimer's Research UK found that women are hit hardest by dementia, with more than half a million affected. The charity also estimates that the condition costs the UK economy £23 billion a year.